Hair will look thicker instantly. Look 10 years younger in 30 seconds. Electrostatically Charged to bond with our existing hair. Ingredients:Natural Keratin, Electrostatic Coating, Color Lock System, Metal Strip Patented Jar . 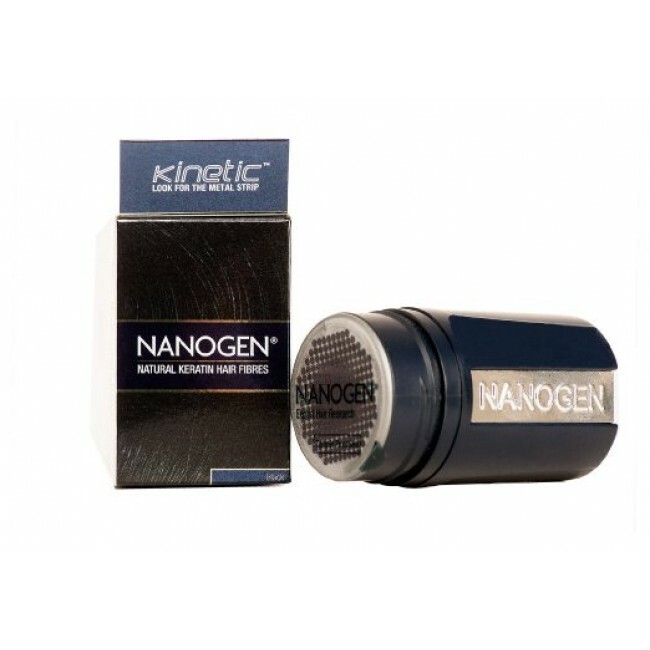 Nanogen is a hair loss concealer made of microscopic keratin hair fibers that can be sprinkled onto thinning hair and bald spots to instantly increase the thickness and density of each hair. Contrary to popular belief, thinning and balding scalps contain thousands of tiny colorless hairs. These hairs, along with normal hairs allow Nanogen to bond tightly and form a completely natural pattern. 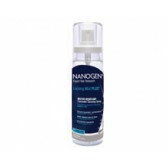 While it certainly covers bald spots, Nanogen is much more than just a concealer. It can give your hair a fuller look and feel, as well as increased density. 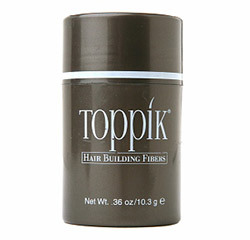 It is the quick and easy solution to thinning hair! It works for everyone! 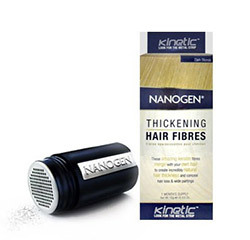 Nanogen fibers can work for men AND women of all hair types suffering from all different kinds of hair loss. It comes in 10 different shades to accommodate any hair color! Natural Keratin, Electrostatic Coating, Color Lock System, Metal Strip Patented Jar .